This month’s malt is Biscuit Malt! I remember talking with one of our customers a while back and he mentioned that Biscuit Malt was his favourite malt to chew. I was surprised by that to be honest because my kids and I usually prefer to chew on the Crystal Malts because of their sweetness. But have you had a chance to chew a Biscuit Malt? I strongly recommend that you do, it tastes like roasted hazelnut and very dry to me, which is good right?! Right, I’ve got a bit side tracked here, back to the Biscuit Malt. Do you know how we make our Biscuit Malt? We use Ale Malt in the roasting drum, yep, we don’t use green malt for this one! You now can start to picture why the malt has a dry taste. A large proportion of sugars has been already created during the malting process of the Ale malt that we then roast and turn into Biscuit malt. All we are trying to achieve is to add extra layers of toastiness into the already awesome Ale Malt. 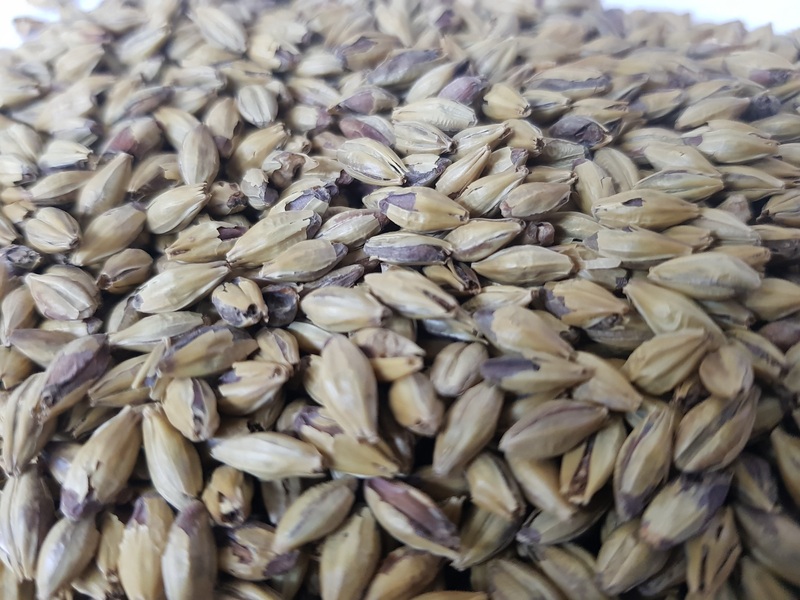 However, when we roast we use high temperatures (average of 150C) that kills the enzymes in the malted grain, transforming the Ale Malt into Biscuit Malt, to be used only for colour and flavours in beer but not for alcohol production, hence that you can’t use it at 100%. We recommend our Biscuit Malt in beer styles that call for a dry finish. ESB, Pale Ales and Mild Ales are styles that come to mind. Typical usage rates are 5 – 15% and are mindful that Biscuit Malt has a typical colour of 65 EBC. Good old Caleb DeFrees (Gladfield Malt’s production manager, pilot brewery guru and lab manager) designed the recipe below for us. It is an American Pale Ale and him being an American, he likes his American Pale Ale dry, and he is not the only one, we know that the perfect representation of the Australian Pale Ale is very dry too. I hope we have inspired you to use our Biscuit Malt in your next brew!